Singapore is known for many things — banned chewing gum, strange laws, and an obsessive love for food — but the country is also known for its incredibly high standards in school. To prove it, here are 7 questions no student will want to see in an exam — but are very likely to. These questions may seem easy, but the trick lies in the phrasing. 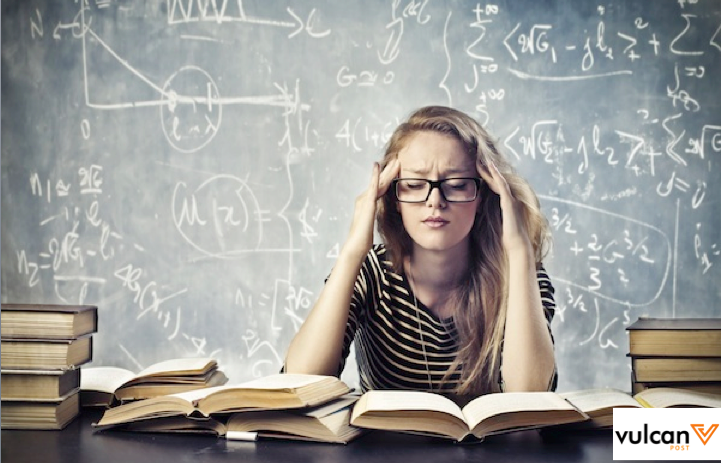 If specific terms that appear in the answer keys aren’t seen in a student’s response, they are penalized, often missing out on marks entirely even though their answers are technically true. Beware the open-ended questions — they’re the trickiest. 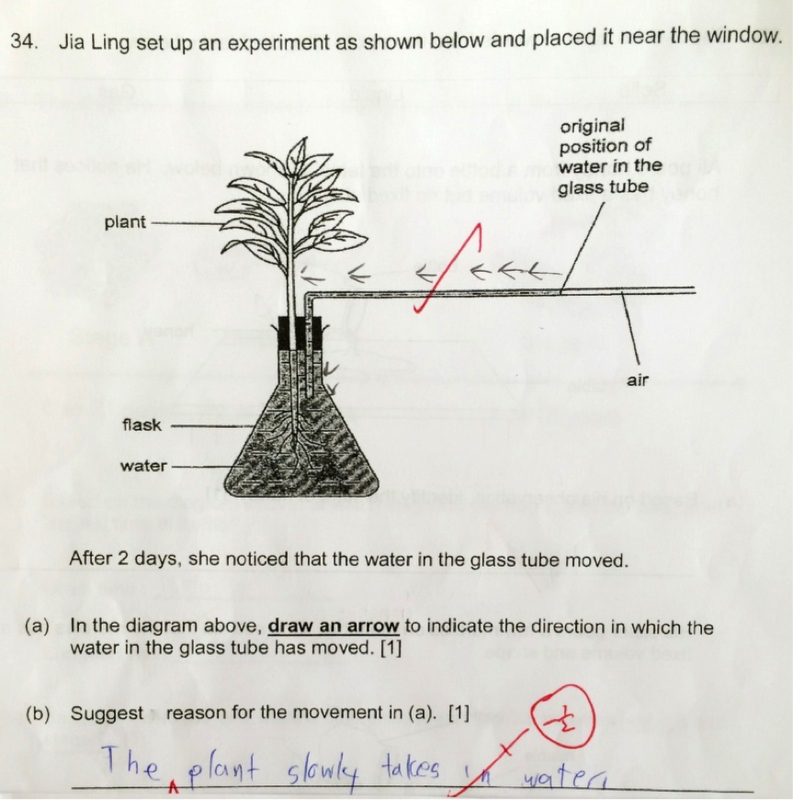 If your answer is; the plant takes in the water, then it is wrong. The answer the teacher is looking for is, the roots of the plant sucked up the water. 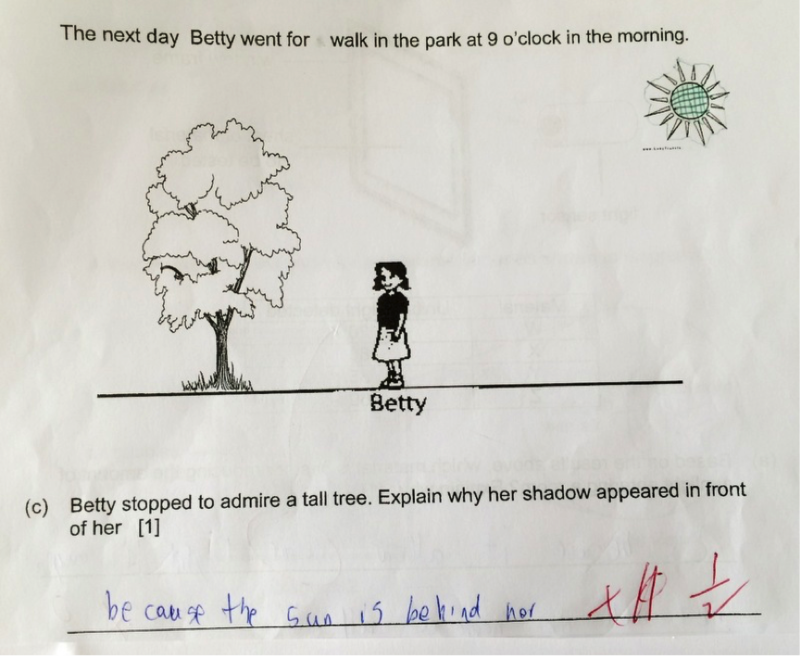 The answer the teacher is looking for is that the sun is behind her, and she is blocking the path of the light. These questions may come from Primary school assessment books, but give them to adults and they will suffer. 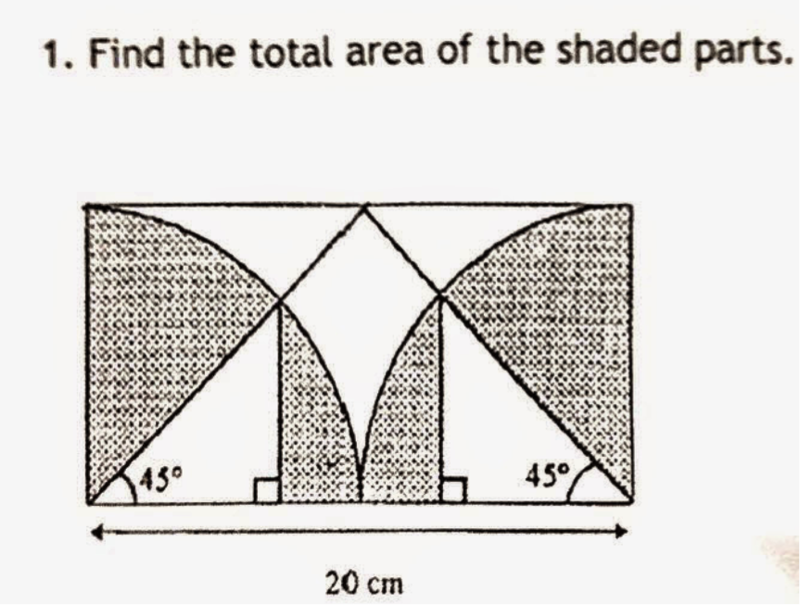 Ans: Shaded area = 107.08 cm2. And the answer to the question? 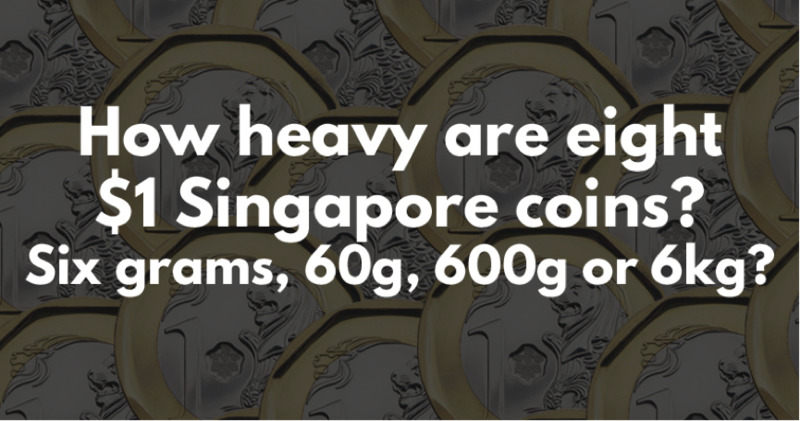 Based on a photo showing eight $1 coins on a weighing machine, which Shin Min got from a reader, the coins weigh 61g. 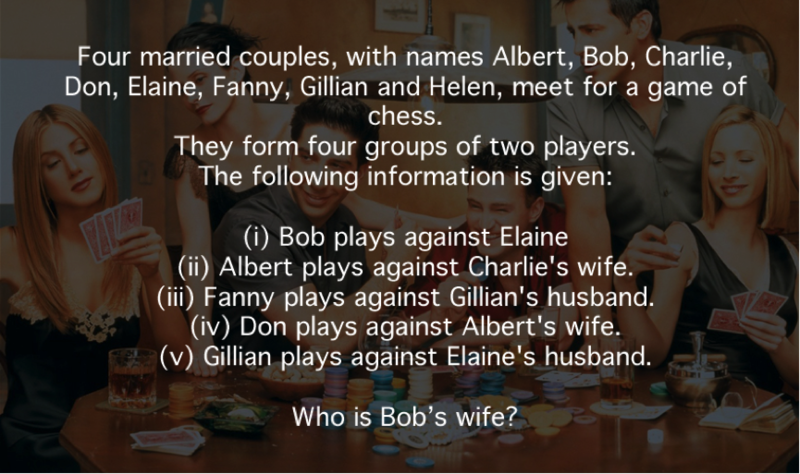 Since (i) says Bob play against Elaine, Elaine can neither be Charlie’s nor Albert’s wife. So either Bob or Don is Elaine’s husband. However, since Elaine’s husband plays against Gillian (v), her husband must be Don. With high unrelenting standards, it’s now harder and harder to be a student. However, there are tools that get students the help they need. Apps like Snapask help connect students with tutors in real-time, allowing them to get answers for tough questions anytime and anywhere. All students have to do is download the app on either Google Play or the App Store, snap a picture of the question, and ask away. A chat box will open up, and students will be able to interact directly with tutors to clarify any questions they may have. For new users too, there are 10 free credits for you to ask your questions away too. Who knows? 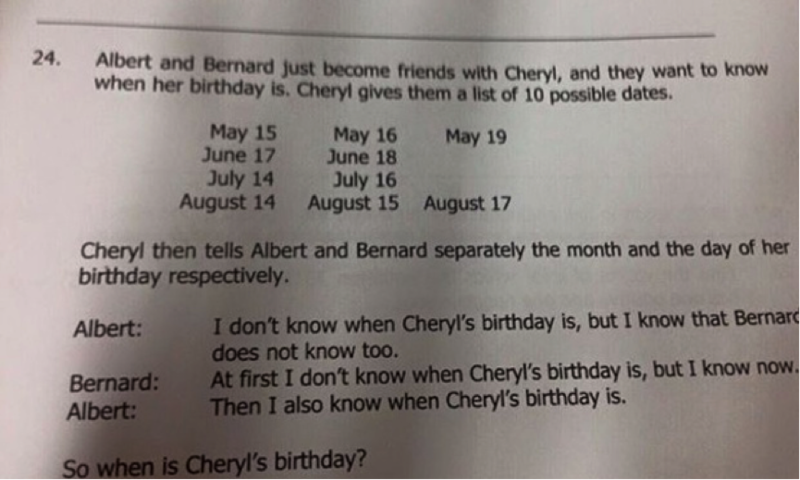 If Cheryl’s Birthday really shows up in a future exam paper, you may even be prepared for it.